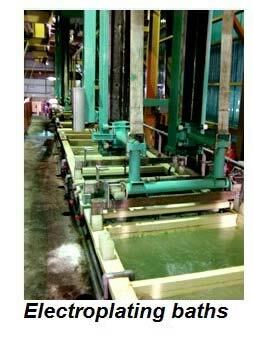 Our company is unique, not only in terms of the products we create, but in our manufacturing processes of these products. We grow real roses in a nursery that we run ourselves, and then plate them in precious metals under precise measures to achieve a perfect finish. 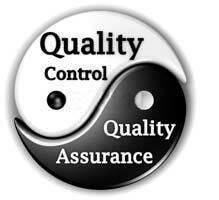 We prioritise quality, which we work to maintain at an exceptionally high level from the very first step. Only the best qualified professionals are employed in our company. First, we vigilantly monitor the growth of our roses in the nursery, and carefully select them when they are ready for the preservation process to begin. We use a variety of rose which is a complex hybrid containing R. rubra, R. eternity, R. moschata, and R. caninae. Second, we apply a clear coat to the entire rose which helps it maintain its overall shape in preparation for the next steps. Next, we apply several coats of pure copper to the rose which helps to maintain the overall texture of the flower, and allows the precious metals to adhere perfectly to the surface. Very thin coats of pure copper are applied, with a detailed inspection occurring after each coat. Once all coats of copper have been applied, and each coat is diligently inspected, the rose is ready for the application of a precious metal. Any rose that does not pass inspection at any stage of coating is not used. The layers of precious metals are applied in the same fashion as the copper, with several thin layers being applied over an extended period of time. The rose continues to be inspected after each application, and if any imperfections are detected, the rose is discarded. 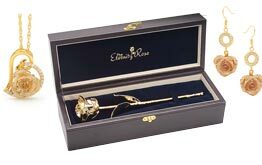 In order for a rose to pass final inspection, it must hold its shape, provide its natural and intricate detailing, and have a flawless finish. Our process is so thorough that it can easily take several months from the time the rose is picked from the nursery, to the time that it is finally ready for sale. The final product is one that looks like a real rose, but is covered in a brilliant sheen. It does not corrode or lose its shape over time. It is designed to last indefinitely, and will likely still look brand new even after decades, or even centuries, have passed. 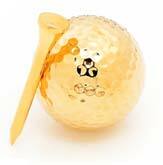 If you would like to know more about the different types of gold, click here. 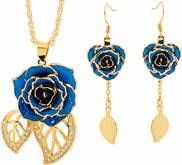 How can these products be made from real roses? 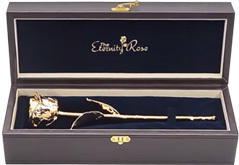 While it is true that there are companies out there that do apply metal plating to rose-shaped plastic, this is certainly not the case with our company. This would constitute a tremendous violation of the description inherent in our primary product. Our entire preservation process, from beginning to end, has been described above, and this is how we indeed manufacture each and every product in our store. A real rose, by nature, shows imperfections by way of bumps on the stem and uneven veins in the leaf, and these features of nature are evident in our roses. Plastic based roses fail to exhibit these unique characteristics of nature. As previously mentioned, our company has worked to perfect our process through years of dedicated hard work. 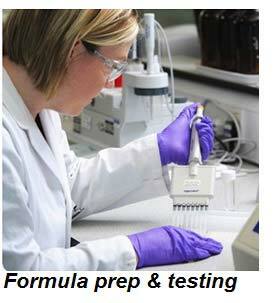 The methods that we use are tried and true, and they have proven results. While we attempt to give our customers a sense of the quality of our products through photographs that appear on our website, it is really not possible to fully realise the level of quality that exists in our products until our customers are able to see them for themselves. Our customers can choose the precious metal that they wish to have, as we offer products finished in gold, silver or platinum that require virtually no routine maintenance whatsoever. Of course, our silver products in particular must be polished more regularly over time to maintain their ideal appearance, as silver does tarnish more readily. 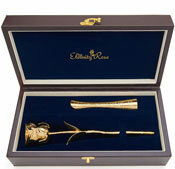 to manage a small proportion of returns, amongst the sales which have reached thousands of items. 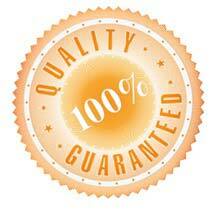 Considering this volume, we are able to validate the quality of our products. Are the products as delicate as they look? Under normal circumstances, the answer is no. The precious metals that are used are very resilient. As such, they are usually able to withstand shipping and normal handling for display purposes. The products are even able to handle being accidentally dropped from a height of a few feet. If they land on carpet or another soft surface, there should not be any damage. The damage should be minimal if they land on a harder surface, although it is not out of the ordinary to see some scarring on the surface. Our company’s dedication to quality is second to none, allowing our company to create the best products for our customers’ needs.